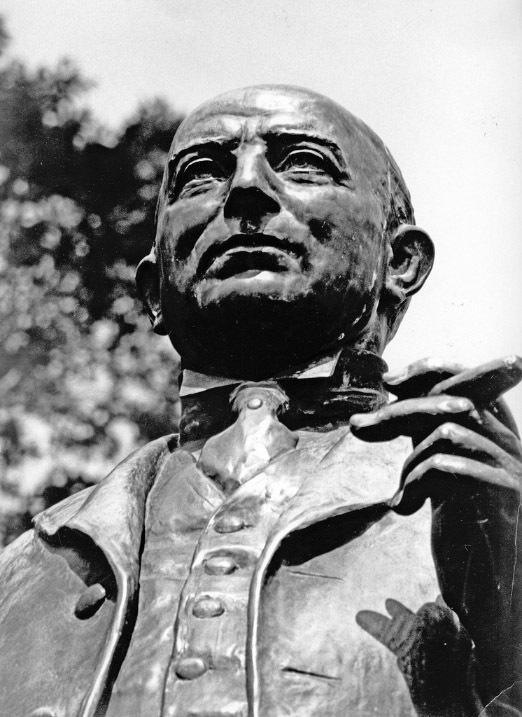 New York sculptor Charles Keck created the James Buchanan Duke Statue in 1935. 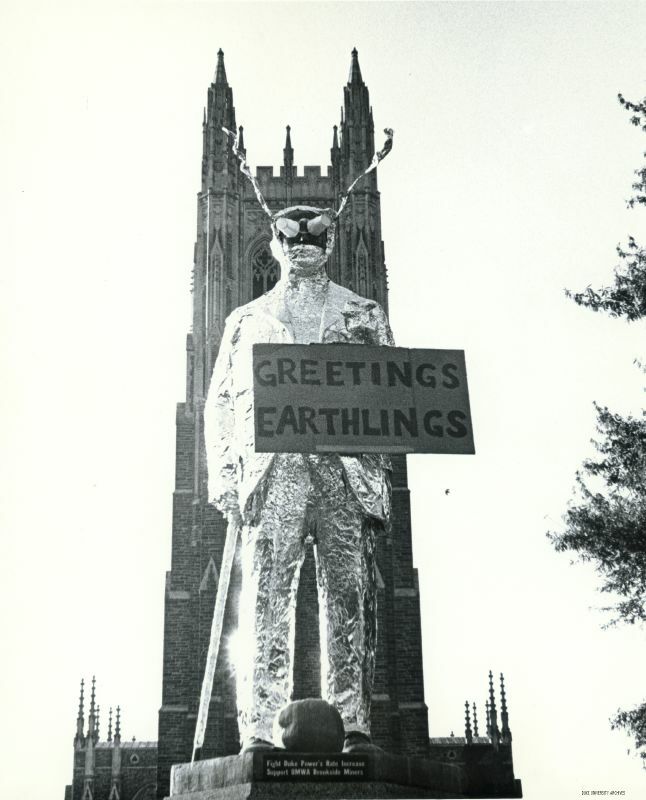 The statue was unveiled on June 3, 1935 as part of commencement. Mary Duke Biddle, grandniece of James Buchanan Duke, removed the veil on the statue before a group of several thousand with President William Few presiding over the ceremony. Cast in bronze, the statue stands eight feet tall with a 4 inch base, and sits on a granite pedestal that weighs roughly 25 tons.